Deep Time / Deep Futures was a symposium on artistic responses to the dichotomy between human time-perception and time in biological, environmental, and geological processes, within which we are embedded. Deep time and deep future are two concepts referring to the history and future of our planet on a geological time scale. 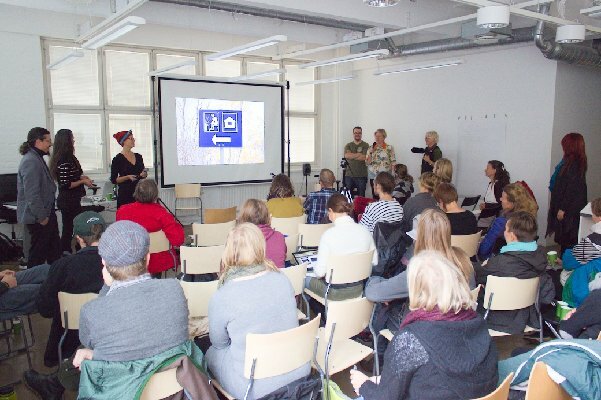 From the 16th to 22nd of September 2013, a group of Finnish and international artists, scientist and practitioners met for “Field_Notes – Deep Time”, an art&science field laboratory at Kilpisjärvi Biological Station in Lapland, organized by the Finnish Society of Bioart. Composed of work groups, think tanks, and workshops, they carried out interdisciplinary research and field work on specific topics concerning Deep Time and Deep Futures. In the symposium the five work groups presented and discussed their preliminary findings from the working week.